My skin is a shell of it’s former self. The days where I rocked silky smooth skin seems to be dwindling away. I now have combination skin (both dry and oily), and that causes a bit of a problem when it comes to settling my skin issues. I wanted to achieve the skin I once previously had without having to spend hundreds of dollars sitting in a doctor’s chair. That’s when I was introduced to Spa Sonic Skin Care System! I tried each of the rotating heads out on my skin, and I was amazed how quickly I saw results. My absolute favorite is the small facial brush. That’s where the majority of my skin problems occur – on my face. Since I’ve been under exhausting stress due to my grandmother’s passing, my skin has been going haywire. I’m talking zits, blemishes and bumps. 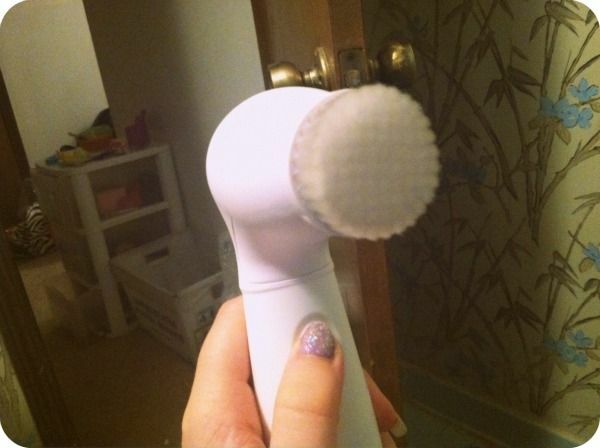 The facial brush cleansed my face (along with my favorite cleanser), and I could definitely feel it working. Also, the brush is REALLY soft! Another favorite was the pumice stone rotating head. I have extremely rough feet that have only gotten worse since I had my daughter. I have a nasty callus on the base of my foot near my pinky toe on my right foot, along with dry cracks in my heels on both feet. The callus can cause my feet to become sore if I stand up for an extended period of time. With the pumice stone, all I have to do soak my feet in warm water for a few minutes, wipe dry and then use the pumice stone on my feet. The pumice stone removes those gross skin cells that needed to be removed from my feet. Additionally, it can be used on other rough, dry parts of the body like knees and elbows. The large brush is great to use when you’re wanting to cleanse and exfoliate the entire body. I find that this works better than loofahs and wash cloths, as it gets deeper into my skin. Like the small facial brush, I applied my go-to soap and watch the brush do the work. 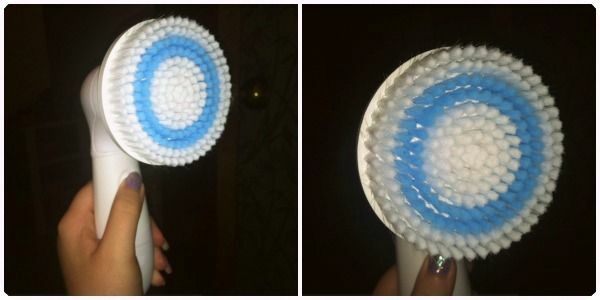 The brush actually promotes a faster absorption of the soap. I am thoroughly pleased with my experience using the Spa Sonic Skin Care System, and it’s definitely staying underneath my bathroom sink where all my frequently used skin care products are stored. I’m confident that my skin will only get smoother and cleaner with extended use of the Spa Sonic Skin Care System. 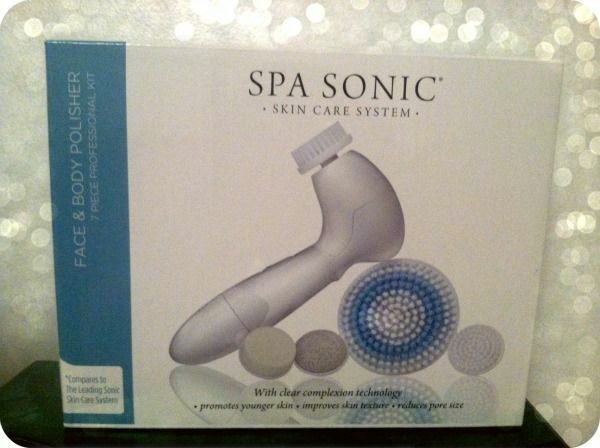 Purchase It: You can buy the Spa Sonic Skin Care System in major online retailers – Target.com, Costco.com and Drugstore.com. 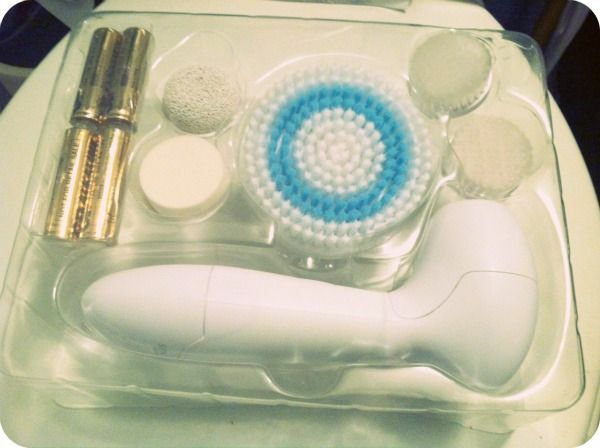 Disclosure: I received the Spa Sonic Skin Care System in exchange for my honest review. No other compensation was received. 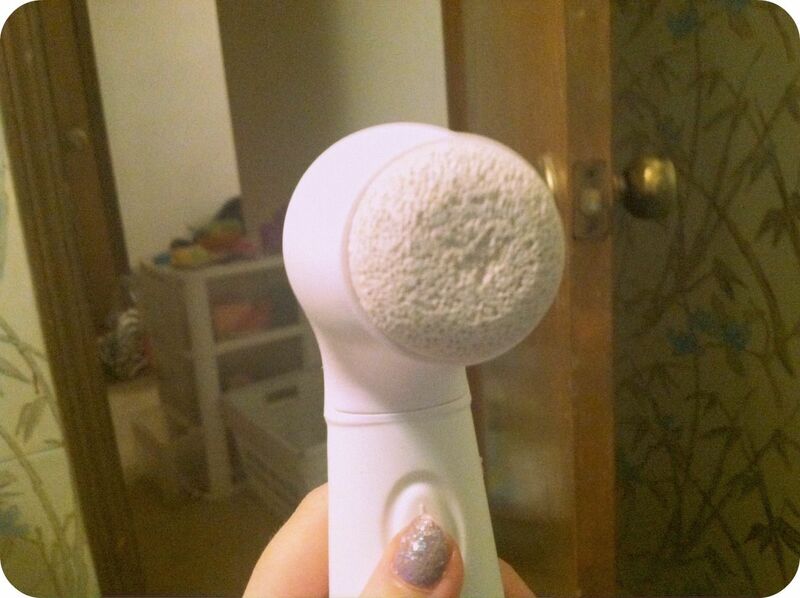 I have used the Spa Sonic and can honestly say I wouldn’t live without it now. I can’t believe the difference it made to my skin. I am nearly forty but unfortunately suffered and outbreak of adult acne and now it is nearly gone after a year of suffering. This looks like quite the system! I’ve been looking for something like this for a while now. Do you still use it? Have you noticed much of an improvement in the past couple weeks since you’ve written this review? 25 Gift Ideas for the Teacher in Your Life! Warm Up While Reducing Your Carbon Footprint with Harman Pellet Stoves!